Below is the schedule of classes for the calendar year 2019. 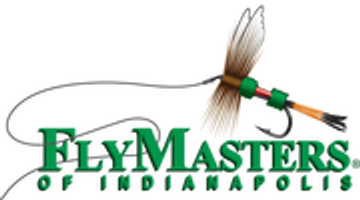 This is to show you the various types of classes we have at FlyMasters in our Intermediate & Skill Development Fly Tying Classes. Our classes range from warmwater species (our local waters), coldwater, saltwater and Salmon and Steelhead flies. Plus, we often have classes that are focused on a certain aspect of fly tying, such as our Working with Deer Hair classes or our classes to learn All About Dubbing. It is quite possible that we will have the same class twice in a year. Also, you can request to have a certain type of class (Steelhead, Bonefish, Dry Trout flies, etc...) or have a certain fly tied in a class. If we get enough interest in certain classes or specific flies, we will schedule a Special Tying day. We also throughout the year have "featured" fly ties in the shop. These are people who are well know in our area or in the fly fishing world who excel at certain types of flies, or have come up with very unique patterns or are simply great instructors and love to teach others. These classes can sometimes last more than the standard length of our regular classes and sometimes can cost more due to the nature of the flies and materials used in tying the flies. * Special Events, additional charges and time might apply. Additions to this schedule will be made to fill the majority of Saturdays. Intermediate Classes will take a break during fishing season, generally towards the end of May. Special events for tying will be posted in the newsletter RollCast.